With the call for service and the need to demonstrate value expanding, the fact that improving and integrating technology was not a high priority to this cross-section of the nonprofit community was a surprise. The respondents to this survey were arts, social service, education, health care and environmental leaders. No associations were polled. Since my consulting puts me in contact with organizations that already have advancing technology on their agendas, I wondered where the overall association community stood on the IT continuum. took an insightful tack on this topic. This multi-part survey investigated the operational choices of association IT departments and decision makers. Then, taking the question a step further, it compared how members described their interests and comfort with the professional staff’s assessment of their constituents’ IT preferences. It was reassuring to learn that most associations are performing in the mid ranges of technological effectiveness. And, I imagine that the numbers have improved over the last two years. But to keep up with the lightening-strike speed of business, our sector needs to make a concerted effort to do better. User facing AI, robotics, digital twin and block chain 2.0 are cited by Info-Tech Group’s 2018 CIO Trend Report as the four transformative technologies that currently offer significant business impact. I’m going to bet that most association leader’s eyes glaze over when they hear these terms. It’s not surprising that only a few groups are making plans to incorporate this software into their strategy. But a word of caution, you can’t afford to limit your group’s knowledge of new developments to the IT staff. Everyone in your association, from coordinators to the management team, should be conversant in innovation. If you haven’t had time to brush up on the future, below are snapshots of the trends that are soon to become routinely integrated into our daily lives. This technology has been hiding in the background for some time. That alert you get from your credit card company if your spending patterns change is AI in action. Now AI is about to step into the spot light, with applications that directly impact customer service. The goal of user facing AI is to automate function while creating a more friendly, individualized experience for customers. AI has the potential to dramatically impact the way that organizations identify, build relationships and interact with their constituents. Artificial assistants (Think Siri on steroids helping you manage your time and productivity. 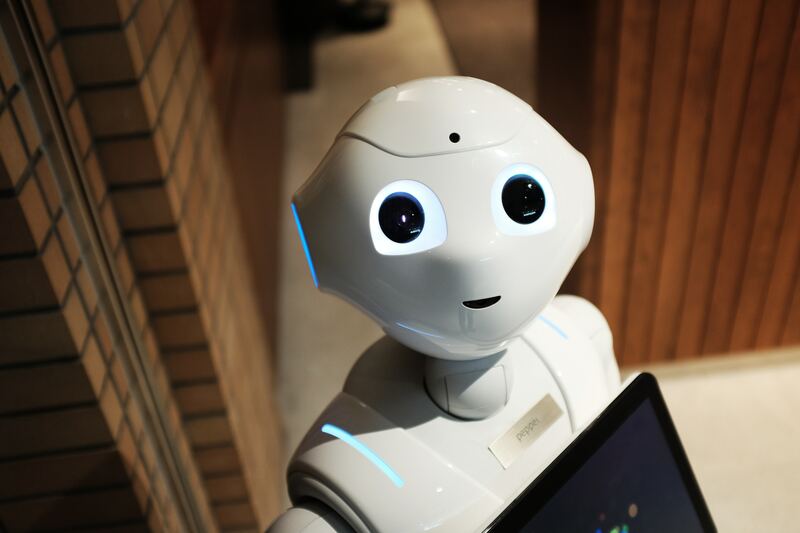 ), driverless cars and 3D printers are examples of robotic technology that may have an impact on how associations do business in coming years. The Consumer Technology Association, one of my go-to sources of information regarding the electronic universe, offers a variety of blogs and articles on the future of 3D printing in business. The ability to create branded, highly personalized products for members is one of the immediate uses that comes to my mind. A digital twin is a virtual clone of a physical product. The twin is used to gather information from its doppelganger and feed the data back to the user. For example, your car could send a message to its electronic counterpart that the oil is low. The alert would then appear on your smartphone. This technology is on track to making many of the items we use in the office and at home a lot smarter. Of all the new technologies, blockchain, to me seems the most sci-fi and mysterious. Blockchain gave birth to the possibility of bitcoin and other cryptocurrencies. It is also known as a distributed ledger system. Both names reflect its structure. Imagine a spreadsheet that is replicated in multiple electronic locations with no central administrator. When an update to the system is made, the validity of the transaction is verified by a series of algorithms, and the revision instantly occurs across the network. Because the information is housed in multiple locations, it is more secure. Transactions can be traced back to their origin at any point in time. Smart contracts housed in the blockchain system are programmed watchdogs that allow the safe and transparent exchange of currency or other valued items without the need for a middleman. Although blockchain may not find its way into association operations soon, it is already changing the way many professions do business. Unlike the corporate world, Associations have the challenge of bringing their members along on the technology journey. Consensus can be messy and difficult to achieve. But when technology is consistently integrated with strategy and is discussed throughout the planning process, the habit of upgrading to meet or exceed the speed of business becomes more routine.